Daniel Alves is one of the most unique players in the football game of today. Playing for Barcelona he has the perfect opportunity to get involved in their attacking play and makes far more runs forward than any other right back in the world. Linking up with players like Messi and Xavi can bring the best out of players, and Daniel Alves proves this as his attacking runs are always spotted and often found. Daniel Alves plays more like a right attacker than right back, and always delivers a dangerous cross or final ball. His defending isn’t always the best, but if you’re playing for Barcelona, you won’t need to defend much. Daniel Alves played at Sevilla from 2002 to 2008 but in his last few seasons at the club, it was rumoured that Barcelona were interested. Daniel Alves moved to them for the 2008/2009 season, when Real Madrid were the current holders. Barcelona however, with new manager Pep Guardiola, had created a fantastic team that would scare the rest of Europe. 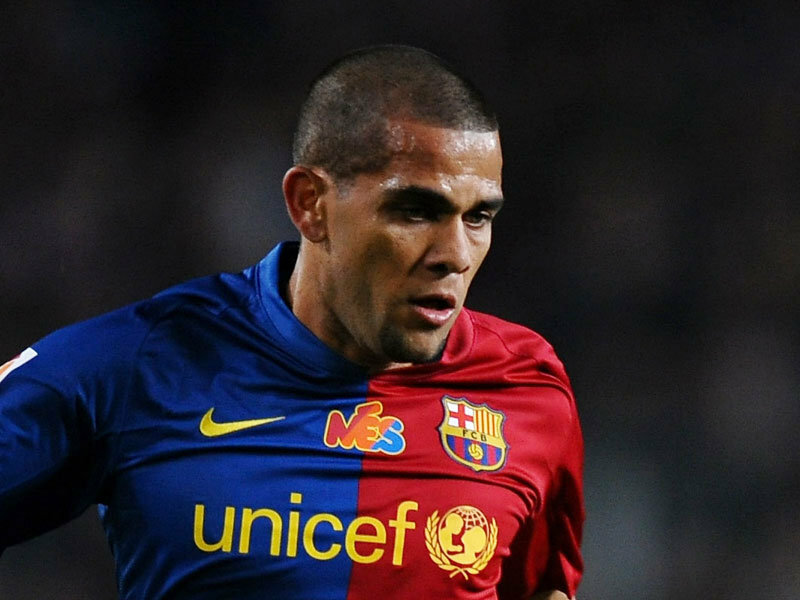 In Daniel Alves first season, he had won the treble at Barcelona, and people were mentioning that this Barcelona could go on to be one of the best footballing club sides of all time. Unfortunately for Daniel Alves, he couldn’t play in the final against Manchester United, in 2009, but did play against them in the final of 2011, where Barcelona were successful again. Daniel Alves has also won the league every season he has been at Barcelona. Daniel Alves has fantastic attacking abilities and he could not be more suitable to play the Barcelona role at right back. I remember watching Barcelona v Arsenal last season, and the game at the Nou Camp was all Barcelona, and Daniel Alves time and time again was found in so much space on the right hand side. He is so attacking that it could be a weakness too. Barcelona press teams so well that they keep the ball for so much longer than the opposition, and Daniel Alves only worries about helping the attack, but the occasion the opposition attacks Daniel Alves is a bit suspect. If you see Arshavin’s goal against Barcelona, closely watch Daniel Alves who fails to track his runner as he gently jogs back to his goal. However, no one can deny how good of a player Daniel Alves is, and his ability on the ball is outstanding, and in the future will be remembered for playing for one of the best sides of all time. Has Aleksandar Mitrović finally found a home in Fulham? Who have been the best summer signings of far? What do Paolo Guerrero and a 500 year old Dead Girl Have in Common?